4 stereo 1/4" TRS send/return connectors to dual mono 1/4" TS connectors. Color-coded for easy ID. 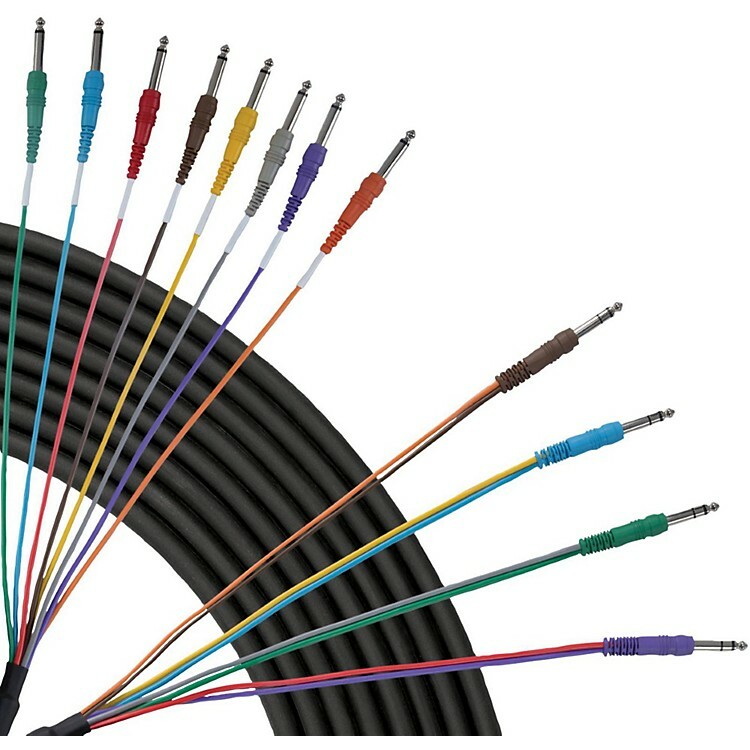 For use with patch bays, mixing consoles, rack cabling. Molded strain relief. Rugged and reliable with uncompromising standards. Order today.